Picture from group : Why leave a letter 'T'?!! Picture: Why leave a letter 'T'?!! While Slievemeen and Slievemartin are easily accessed from the carpark at J196 174 A This grid reference in the text is shown as point A on the Detail Map above'>J196 174 A A, Crenville requires more of an effort. 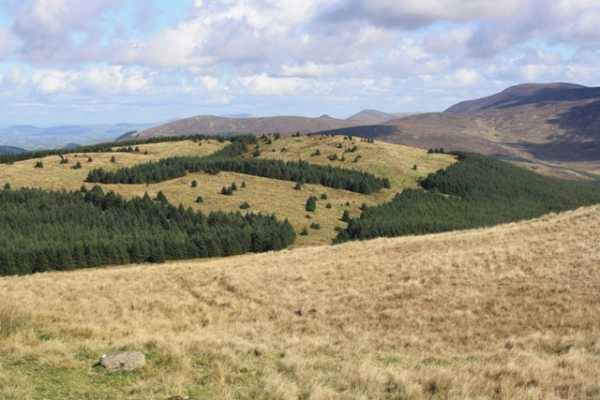 Sitting to the north of Slievemartin, Crenville could be described as a hill more suited to peak baggers and serious enthusiasts. This is because this hill has difficult underfoot conditions that would wear out or dissuade those who come unprepared. Those who persevere are rewarded with a sense of isolation and some good views of surrounding hills such as Tievedockeragh to the north and Shanlieve to the east as well as views along Carlingford Lough.